This convenient Kit includes the parts common to all thru-the-wall Chimney installations. Just add Chimney Lengths to complete most installations. A Roof Flashing may also be required for installations that cut-through an overhanging soffit. 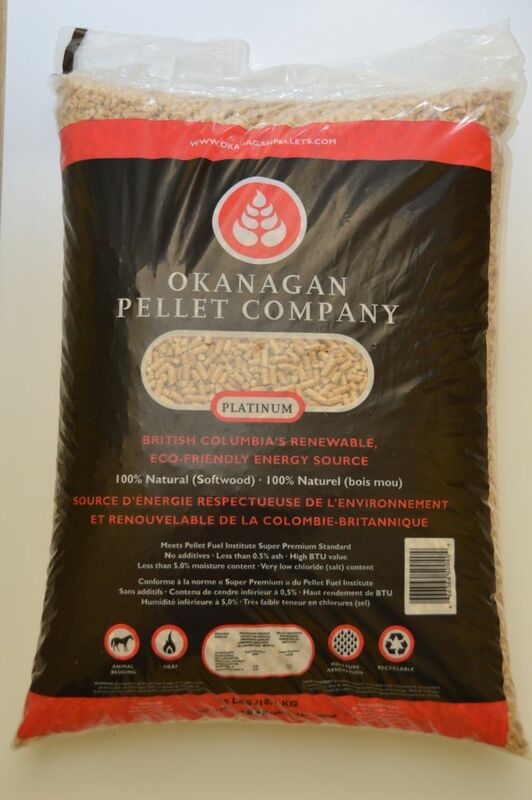 Premium Wood Pellets Fuel 40lb bag Okanagan Premium Wood Pellets are made of 100% softwood sawdust from Spruce and Pine. The bright colour combined with low ash content and above average heat values makes this product a leader in the segment of clean fuel. Ideal for use in wood pellet stoves, furnaces, boilers and BBQs.